Preheat oven to 425˚F. Line a baking sheet with aluminum foil. Slice the carrots on the diagonal, about 1- ½ inch thick. Combine the carrots, olive oil, salt, pepper, and thyme in a bowl and toss until well coated. 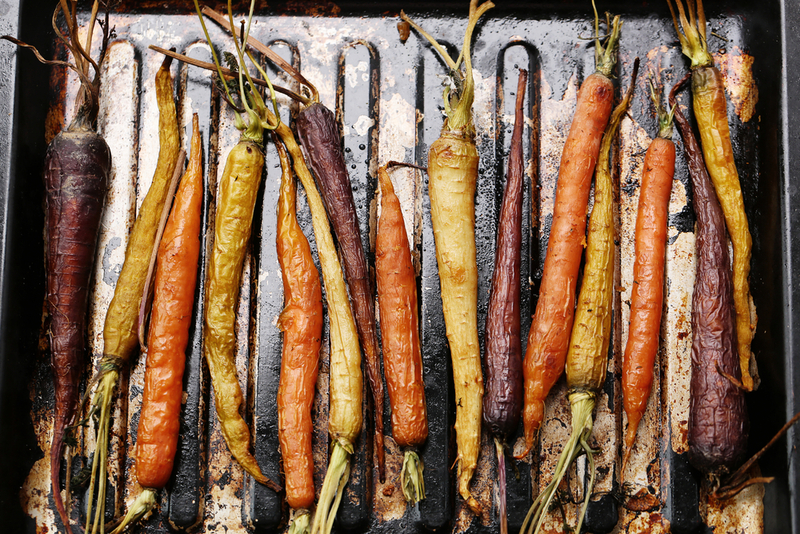 Transfer the carrots to the baking sheet and roast for 20-25 minutes. Taste and adjust seasoning. Play around with seasonings such as garlic, parsley or za’atar.